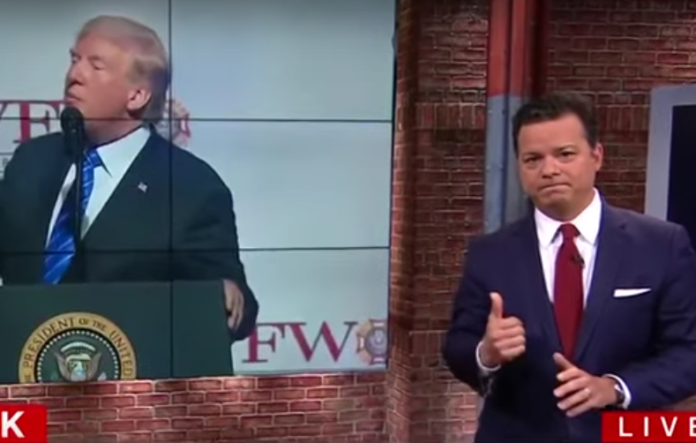 President Donald Trump has told over 9,000 lies since taking office in 2017, and CNN analyst John Avlon revealed many of those lies to viewers on Monday morning. The problem for Trump is that when he lies, he does so on video in plain sight and most of his lies have been easily provable. Avlon didn’t even break a sweat busting Trump for several lies he has told recently and in the past during a three-minute segment on CNN. One of the featured examples is Trump’s threat to release detained migrants into sanctuary cities. “First, there was the cleanup after the news that the White House pressured the Department of Homeland Security to release migrants into sanctuary cities as a way of punishing the president’s perceived enemies,” Avlon explained, going on to show a quote from a Homeland Security spokesman denying that any such plan was serious. However, Trump contradicted the spokesman the very next day on video by admitting he’s still planning to do it. Avlon then brought up Trump’s claim that he “knows nothing about Wikileaks” and proceeded to blow that claim out of the water with several clips of Trump praising Wikileaks. Avlon then played several clips of Trump repeatedly contradicting himself on everything from his knowledge of KKK grand wizard David Duke, his position on abortion and LGBT rights, his position on Federal Reserve monetary policy, and the many times Trump has turned on his own friends and staffers.